Every Sunday we take the bears to worship with us. Even though Pablo and I no longer live in the same house, we count ourselves blessed to be parents together and we attend the same church. The larger smallish bear is of that age when church-going makes little to no sense. To be fair, it makes little sense to most people. And yet it is important to us to share these traditions. Why? I’ve been thinking about this for several months, not sure how to articulate my thoughts. And then I remembered, hey, I have this place that I write about things and figure them out. What a great use of that space! So, here we are at the beginning of A Year in Faith. Maybe, while writing these thoughts and hearing the ideas of others, I’ll learn a way to describe to the bears what I hope they gain from the practices we have chosen. And, equally important, what I hope they won’t gain. As I’ve shared before, faith is incredibly personal. I do not believe there is a single correct way to interact with the divine. These experiences are my own and not meant to speak for all creation. 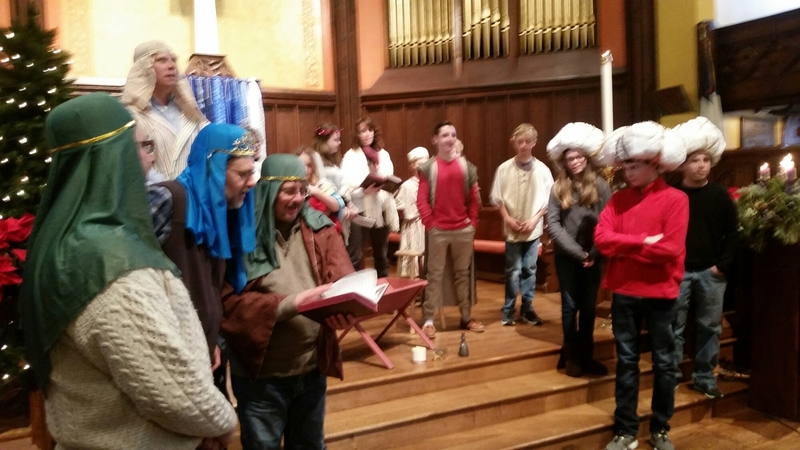 Today our congregation celebrated our Epiphany pageant. Our pastor reminded us much of what we see is simply story and tradition. 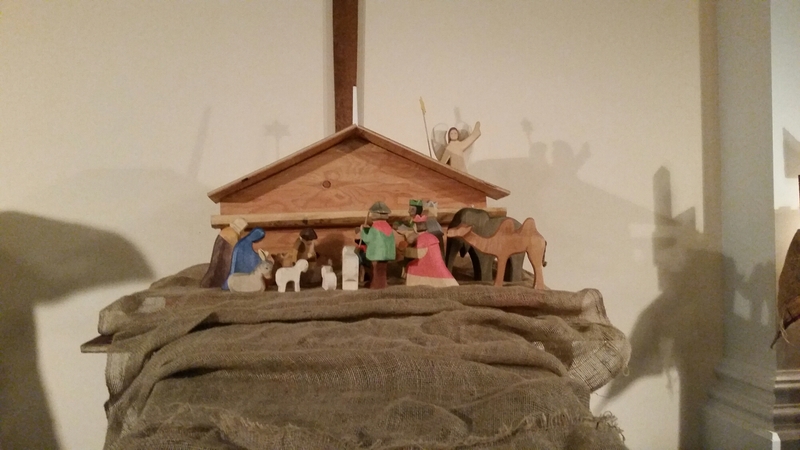 Who knows how many wise men there were? What I hope the bears gain from this experience is the knowledge that all ages are included and loved by God. Our pageant is intergenerational by design and now by necessity. We don’t have enough children to fill all of the roles! By including the adults, the children learn that they are valued by more than just their parents. The adults get a chance to be humbled (did you see those hats?) and to become child-like. It is beautiful to me. We sing many familiar songs. There are few places in American society that group singing still happens. Beauty and magic there too. We sing less familiar songs. These words too tell stories of our tradition. It is good to get them out and dust them off. Good to read them and know them. More thoughts on hymnody and singing later on, I’m sure. Perhaps the most important thing is that we are a community. A community that chooses to be together and support each other. This is another piece to explore. The bears don’t know I’ve been thinking about this. Sometime this week I’ll begin asking them questions and then they’ll figure out something is up. I look forward to hearing their ideas too. I want to pass on traditions in a useful and meaningful way. A way that brings my bears closer to a divinely contented and connected life. I will be following with interest. I live much of my life in the tension between loving the church and gratitude to it for shaping me on the one hand and, on the other, a deep conviction that what we currently know as “church” is about to be reinvented. Knowing what “church” means to the bears during this year will be fascinating.